OLD PARKED CARS. 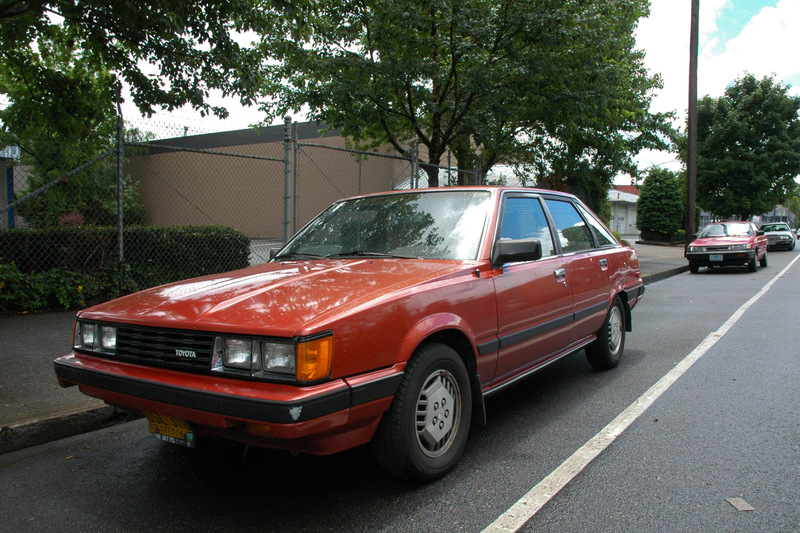 : 1984 Toyota Camry LE Liftback. 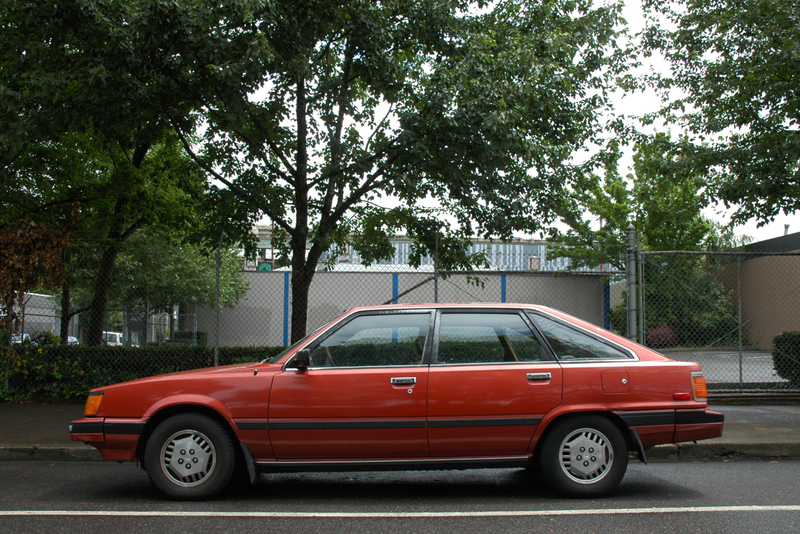 1984 Toyota Camry LE Liftback. WOW.Absolutely amazing. What a wonderful time capsule and it's in really nice, clean shape. Very straight. These cars have been invisible for the last 15 years and now when we notice them they look strange and odd. Great photos. This is what I love about Tony and Ben and Old Parked Cars. 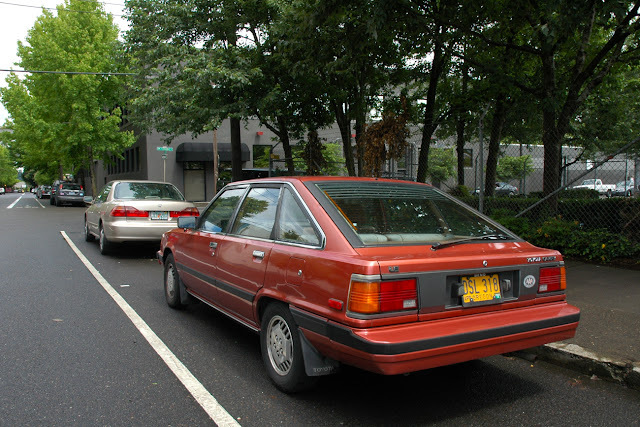 Behind it is an 86 Sentra B12 Coupe. More rare, I believe. these things are almost as rare as they are invisible, and i always stop and photograph them, but i think this might be the first time ben has stooped to post a RWD toyota? Right on anon, guess and you may receive...a Sentra. And Tony, just because you're dominating the Tercel tag doesn't mean I haven't contributed a couple! And how can you say I finally stooped to photograph RWD (when I'm sure you mean FWD), I'm the one toughing it out in a very FWD FX16. Back when the Camry was an honest car.....and this one is in tip-top shape. Thank you Ben and Tony. Happy to see the Sentra. Obviously, I'm biased, but I think that the hatchback Camry and HB versions of compact/midsize Japanese sedans are about the coolest things out there. Do you all mind if I link this post from my site? by all means, hatch. keep up the good work. Thanks Tony - I'm trying to get back into a regular rhythm of getting posts out. It's a lot of work and you guys do a great job - my link to this post will probably appear on Friday. This car was my gift for graduating high school. I called it Turtle since the shape reminded me of one. Turtle and I went to many concerts, trips to NYC, SUNY New Paltz, and lots of different places.